Urinary tract infections (UTIs) are common. But they increase the odds for delirium, hospitalization and death in older adults who are frail. Discover how to help the older adult in your life. If you have an aging parent or grandparent, chances are they’ve had a urinary tract infection, or UTI, at some point in life. But the risk of a UTI is greater when a person is frail, increasing their odds for delirium, hospitalization and death. When an older adult becomes confused, many people — both medical and non-medical — assume that a UTI is responsible. But aging increases the incidence of confusion and delirium, especially among those who are cognitively impaired, depressed, malnourished or completely dependent. “Delirium can be caused by various factors, the most common one being dehydration,” notes Dr. Lathia. Elevated urinary bacteria (asymptomatic bacteriuria) doesn’t cause any symptoms and can often be corrected by increasing fluid intake. The condition occurs in about 6 to 16 percent of women over age 65, 20 percent of women over age 80, and 25 to 50 percent of women living in nursing facilities. 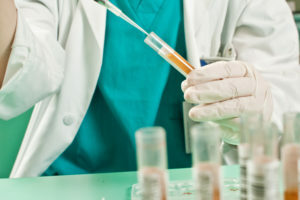 “Doctors should not treat urinary bacteria with antibiotics unless there are multiple other signs or symptoms of a UTI. This can encourage antibiotic resistance and make future UTIs harder to treat,” says Dr. Lathia. The presence of antibiotic-resistant bacteria in the urine also increases the risk of serious complications, including C. difficile infection and death. Having at least two of the symptoms above, along with a positive urine culture, will confirm a UTI. Older adults may have other conditions that increase their risk for a UTI or that produce similar symptoms. Treatment for UTIs should begin with narrow-spectrum antibiotics, say Dr. Lathia and Dr. Goldman. These drugs are less likely to lead to antibiotic resistance and problematic side effects than broad-spectrum antibiotics. Today, amoxicillin is commonly prescribed as first-line treatment for UTIs in older adults. Other common narrow-spectrum must be used with caution when patients have chronic kidney disease or take blood pressure medication, as many older adults do; or because their side effects can be serious in older adults. Do you give the older adult in your life cranberry juice or probiotics to prevent a UTI? These products won’t hurt them, but whether they’ll help is unclear. “We don’t have enough research to support their effectiveness in UTI prevention, although their medical benefits can’t be ruled out completely,” says Dr. Goldman. Dr. Goldman says researchers are also studying D-Mannose for UTI prevention. The supplement, which has few side effects, sticks to bladder receptors that normally attract the E. coli bacteria usually responsible for UTIs. Researchers also believe D-Mannose may keep bad bacteria from colonizing the digestive tract, which can harbor the bacteria responsible for UTIs in women. Following these tips should help your aging relative stay healthy, productive and out of the hospital.